Overall, I’ve been pleasantly surprised with the Cruz T408′s performance. It could certainly get better battery life, and the poor screen viewing angles could be problematic in some situations — especially if you want to watch movies or look at photos with a friend, but for $200 you could certainly do worse. Velocity Micro is known for well-priced, high-performing PCs, so I understand why the company would want to apply that ethos of craftsmanship and quality to tablets. Unfortunately, the Velocity Micro Cruz T408 suffers from the same problems that plague most discount tablets: an awful screen, an OS designed for phones, and a lack of the Google apps that most people expect from Android devices. While the Cruz T408 performs well, it's too user-unfriendly for the masses. 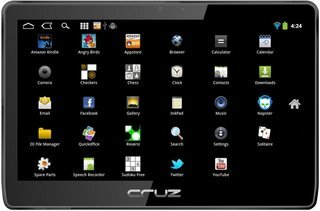 It's pretty obvious who the Cruz T408 is aimed at: people who just want a tablet -- any tablet -- and don't mind settling on Gingerbread so long as the device is dirt-cheap. Problem is, without Gmail or even Android Market, even these folks are likely to be disappointed. While GetJar and the Amazon Appstore offer viable alternatives, it takes only one or two missing-in-action apps to create a frustrating experience. And why should you subject yourself to that, when the Archos 80 G9, another 8-inch tablet, runs Android Honeycomb 3.2, Android Market and all, and costs just $100 more? And let's not even get started on the Kindle Fire, which will hit the same price point as the Cruz T408 when it ships later this fall. Sure, maybe you favor Gingerbread over the customized Amazonian UI, or absolutely need a Skype-acceptable camera or must have a microSD slot. But absent other reasons, simple bargain-hunting is becoming a weaker and weaker excuse to settle for something this forgettable. It adds up to, well, nothing very impressive. But fortunately the Cruz has a major ace in its sleeve in the form of pricing that can undercut its competition by half. If price is your primary concern, it may be worth a look. But then again, if you’re that broke you probably shouldn’t be buying a tablet in the first place. 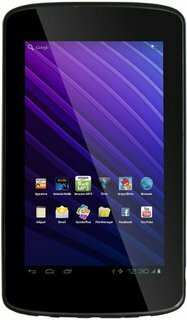 The $239 Velocity Cruz T408 tablet's affordable price will be very attractive to students and frugal tablet shoppers of all ages. And unlike with the Kindle Fire, you can use this slate to make video calls. However, the slate's somewhat sluggish performance and low-res display are turn-offs, as is the awkward skinning of Android. 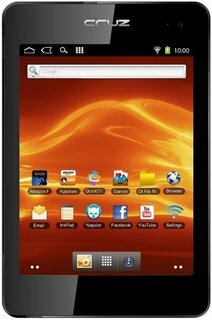 While the Cruz T408 is certainly worth a look, you'll probably be better off picking up the $199 Kindle Fire. Amazon's slate will have a faster dual-core CPU, a zippier browser, simpler interface, and easy access to more content. 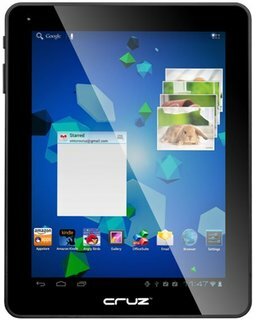 The Cruz T301 from Velocity Micro is a physically solid little Android tablet with a decent set of features considering its low price. We don't recommend it for gamers or book lovers, or for chatty e-mailing and messaging, but if your gadget appetite is bigger than your wallet, you can have some fun with the T301. The Cruz Micro is a nice little device, solidly built, and of better quality than many of the other small Android tablets that are currently flooding the market. Unfortunately, it suffers from a relatively low resolution and low brightness display that needs the best of lighting situations to read in. It is responsive and easy to use, but that doesn't matter much if you can't see what you're doing. In other words, the Velocity Cruz Micro isn't a bad device, but there are better options out there if you're looking for a small Android-based LCD eReader. Visit the Velocity Micro Q&A Forum to get answers, ask a question or help others.